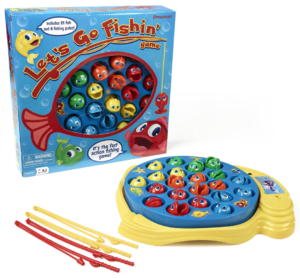 Head on over to Walmart.com to grab this super fun Let's Go Fishin' Game for just $2.99! This game was one my kids just loved to play at their grandparents when they were younger. It's pretty fun for the adults to play along as well! It's regularly as much as $6.97 so this is an incredible price while it lasts. And, you also get free 2-day shipping on orders over $35 or can pick up for FREE in store!